Although we describe a clinical situation that most likely occurs in hundreds of operatory rooms in the world, we report this case as provocation. 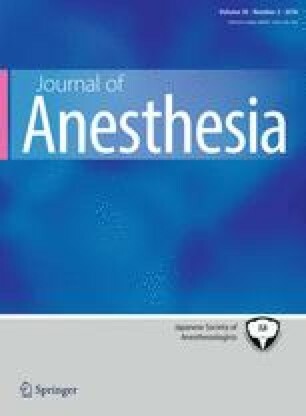 It concerns an unexpected awakening from an appropriate depth of anesthesia, although the BIS monitor showed a BIS index of less than 50 for a prolonged period before and after the event. Approximately 30 min after induction of anesthesia, the patient had a hypothetic sudden arousal of consciousness, with spontaneous movements, facial muscle activation, intolerance to the tracheal tube, and tearing. After immediate intravenous administration of midazolam (4 mg), the patient returned to a depth of anesthesia status, and surgery was completed uneventfully. The patient had no recall of the event when questioned during the episode, at emergence, or at 24 h, 36 h, and 7 days after surgery. Were these events spinal reflexes to pain or stimulation although the cortex was still anesthetized? Maybe this is the more rational explanation. Was the patient awake but not aware? Is it possible that our patient experienced only a transient arousal from consciousness, and that he did not have recall because the arousal time was short and we blocked memory consolidation? The latter hypothesis provides an opportunity to discuss the evidence that at the moment there is no device to assess the depth of anesthesia. We also focus on the possibility of interfering with memory processing under anesthesia. The study had no financial support.